Shaun Hendy from Langford Lakes Christmas Tree Farm and Alice Bartholomew, Reception Class Teacher at Norton Fitzwarren Church School, with the schoolchildren during a previous visit to the farm. 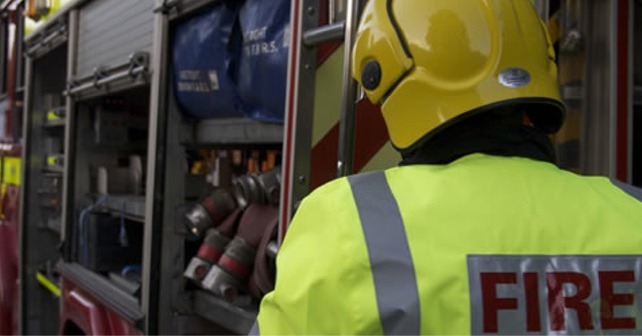 SCHOOLCHILDREN from Somerset are being invited this month (June, 2018) to visit a Christmas tree farm in the county for an educational day out. 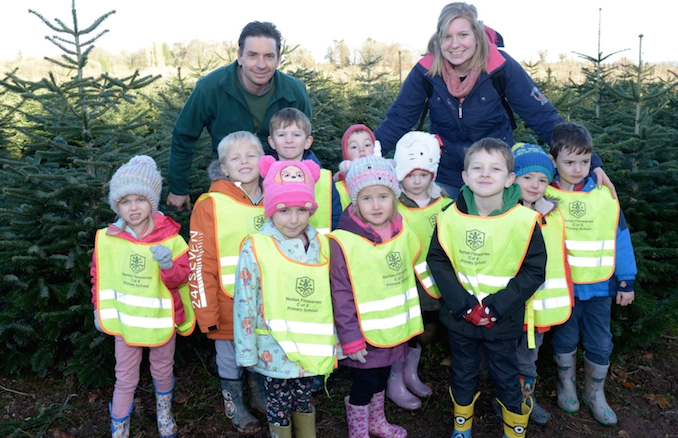 Langford Lakes Christmas Tree Farm, which is based at Middle Hill Farm in Langford Budville, is offering schools in the area the chance to get in touch if they would like a tour of its working plantation. Reg Hendy from Langford Lakes Christmas Tree Farm, said: “We would like to invite schools in the local area to visit us for a school trip. We will take youngsters on a guided tour of the plantation and explain to them how we farm the Christmas trees and also how we help and attract wildlife to our land. “We’re based over 40 acres and a woodland runs the length of the plantations, either side of a stream. This area is home to a multitude of plants and wildlife, in particular rare lesser spotted orchids, deer and occasionally otters. Langford Lakes Christmas Tree Farm, which is well-known for its home grown, freshly cut Christmas trees, is a family run farm located close to the nature reserve Langford Heathfield, a mile outside of Langford Budville in Somerset. The farm is owned and run by Reg and his wife Ann and their two sons, Shaun and Nick. The family has been growing and selling Christmas trees for more than 20 years. Schools wishing to book a visit to Langford Lakes Christmas Tree Farm, which is based at Middle Hill Farm in Langford Budville near Wellington,should call 01823 400476 and ask for Nick Hendy. Langford Lakes Christmas Tree Farm is open every day from Saturday, November 17 until Sunday, December 23, 2018 but visits can be made all year round by prior arrangement. For more information about the farm, please visit www.langfordlakes.co.uk, follow the company on Twitter at www.twitter.com/LangfordLakes or log on to www.facebook.com/LangfordLakesChristmasTreeFarm/.